Longitude and latitude are tools that pinpoint any location on Earth. With the dawn of GPS systems and smartphone maps, it’s not as common to map out locations using long numerical coordinates. But the latitude and longitude system is the basis of many of those mapping apps, and an understanding of how to read those coordinates is a great way to increase geographical awareness and communicate global addresses in any language. Latitude and longitude are broken into degrees, minutes, seconds and directions, starting with latitude. For instance, an area with coordinates marked 41° 56’ 54.3732” N, 87° 39’ 19.2024” W would be read as 41 degrees, 56 minutes, 54.3732 seconds north; 87 degrees, 39 minutes, 19.2024 seconds west. Under the longitude and latitude system, the Earth is divided into a grid of horizontal and vertical lines. The horizontal lines are called latitude lines; because they run parallel to the equator, they are also called parallels of latitude. The starting point for latitude lines is the equator, which is at 0 degrees latitude. Each line of latitude both north and south of the equator increases by one degree, until you hit the North and South Poles, which sit 90 degrees north and south, respectively, of the equator. Everything north of the equator is part of the Northern Hemisphere, and everything south makes up the Southern Hemisphere. The vertical lines of longitude are also known as meridians. The starting point for lines of longitude is called the prime meridian. It passes through Greenwich, England, a spot chosen during an 1884 conference to determine the latitude and longitude system. Directly 180 degrees both west and east of that spot is the antipodal meridian. West of the prime meridian is the Western Hemisphere, and east of that line is the Eastern Hemisphere. The prime meridian is measured at 0 degrees, and each line east and west of there increases by one degree. Reading latitude and longitude is similar to reading the time, in which you would start with the hour, and then nail it down to minutes and seconds to get as precise a reading as possible. You would also specify whether it is the AM or PM. Similarly, a coordinates reading starts with degrees, and then narrows down to minutes and seconds in order to pinpoint the exact location, ending with the hemisphere name. To read the coordinates of any location, start with the number of degrees on the latitude line, and clarify whether it is in the Northern or Southern Hemisphere. 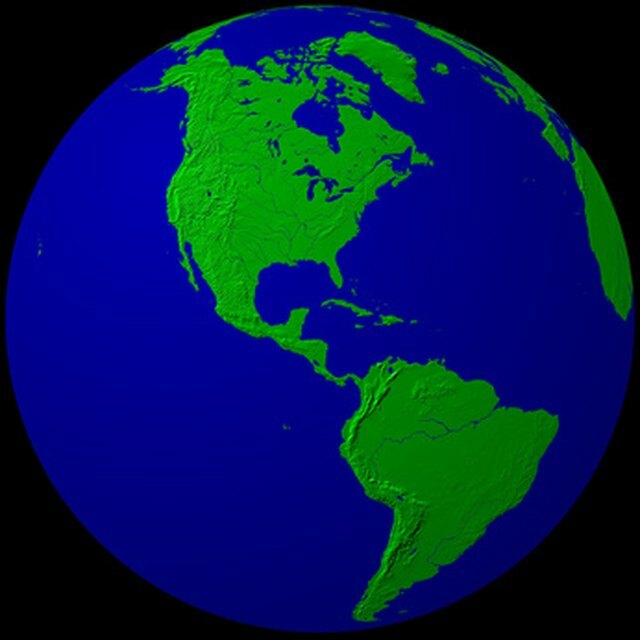 The Earth is nearly 25,000 miles around, so once divided into 360 degrees, it means each degree is about 69 miles wide. Each degree is then broken down into 60 minutes. Each of those minutes breaks down into 60 seconds, which are often read to several decimal points in order to be as precise as possible. You may see these types of coordinates labeled as DMS latitude and longitude, with DMS standing for degrees, minutes, seconds. This notation distinguishes the degree-minute-second system from a separate notation system that represents coordinates in decimal form. Take Wrigley Field, home of the Chicago Cubs, in Chicago, Illinois. Its coordinates are latitude: 41° 56’ 54.3732” N, longitude: 87° 39’ 19.2024” W.
To read it, start with the first set of numbers, or the latitude. That line reads, 41 degrees, 56 minutes, 54.3732 seconds north. The longitude reads as 87 degrees, 39 minutes, 19.2024 seconds west. If you look at a globe marked with the longitudinal and latitudinal degrees, it will be easy to pinpoint exactly where Wrigley Field is located based solely on its coordinates. Dragani, Rachelle. "How to Read Longitude and Latitude." Sciencing, https://sciencing.com/read-longitude-latitude-5083052.html. 12 June 2018. What Are Parallels on Maps?